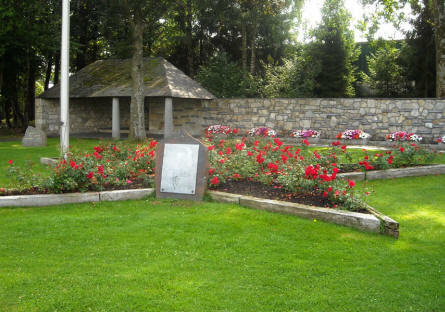 The Malmedy Massacre Memorial is located in the corner of a junction at the historic town of Baugnez just outside Malmedy - and just next to the site where a number of American soldiers were brutally murdered by the German SS in 1944. A small but important place when you look at the history of the "Battle of the Bulge". 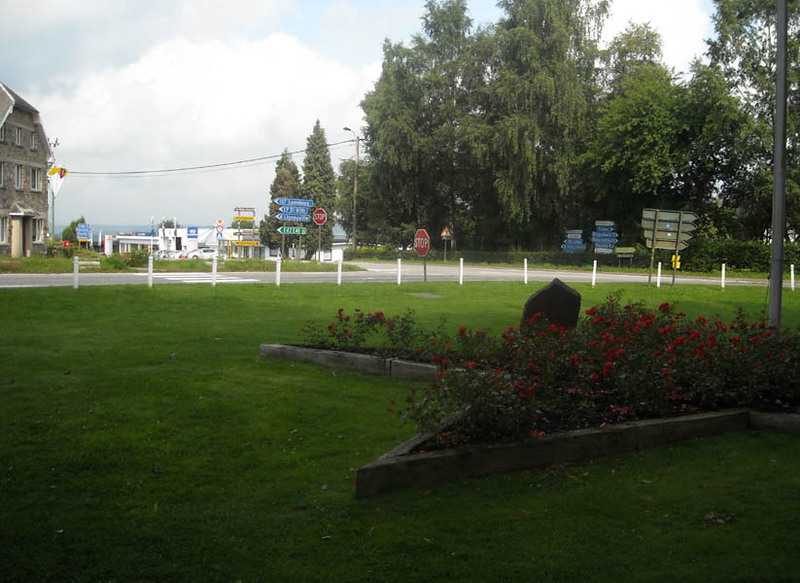 The Malmedy Massacre Memorial is located in a junction in Baugnez - just outside Malmedy. 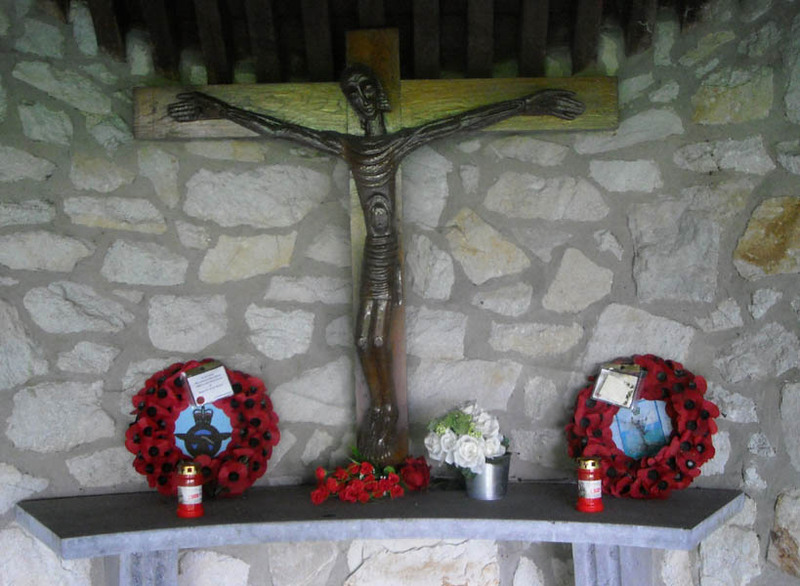 The small alter at the Malmedy Massacre Memorial. 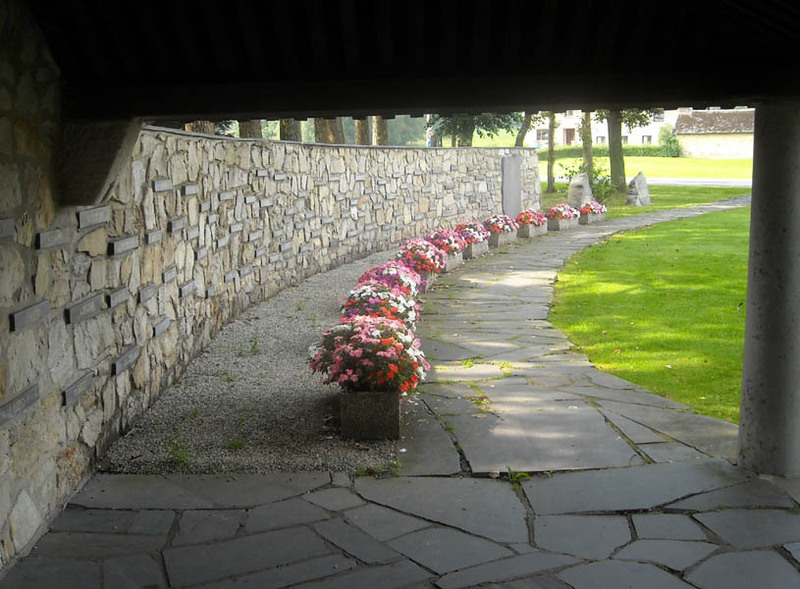 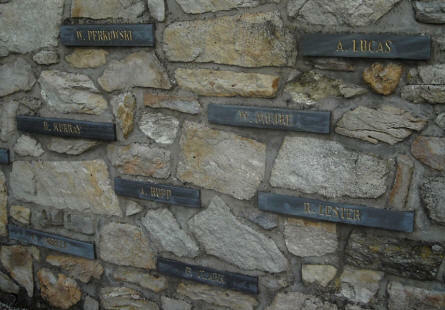 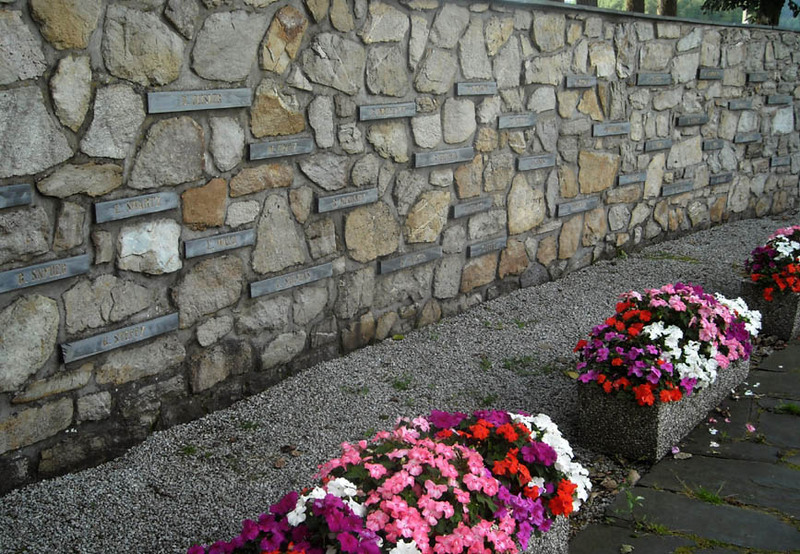 The names of the soldiers that were murdered can be seen on the wall at the Malmedy Massacre Memorial.